As we wonder whether the Dallas Cowboys will or won’t make a serious run at re-signing Greg Hardy, executive vice president Stephen Jones gives us a pair of defensive free agents-to-be who the team will look to bring back in 2016: Cornerback Morris Claiborne and linebacker Rolando McClain. McClain had 80 tackles, two sacks and an interception in 2015, his second year with the Cowboys, after missing the first four games to a substance abuse policy suspension. 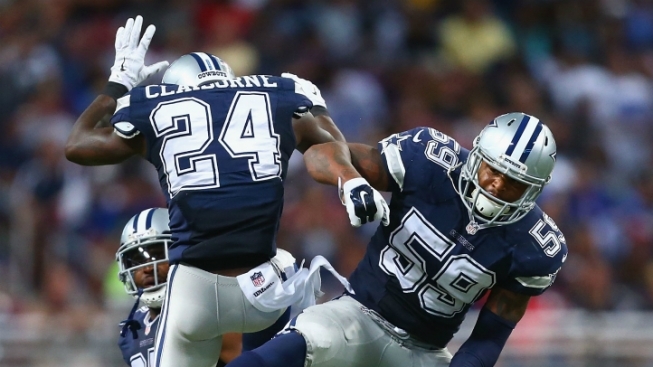 Claiborne had 37 tackles, seven pass breakups and no interceptions while playing in 11 games, but Jones called 2015 Claiborne’s finest season to date. “He had his best offseason and had his best year and I think sometimes it takes time for younger players to really figure it out in terms of what it takes to be a pro in this league,” Jones said.